It sounds like a mafia gang, doesn’t it? 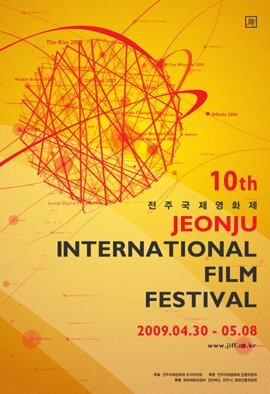 The Jeonju 10. Armed to the teeth with their bibimpap, and decked out in traditional takyeon gear, you don’t mess with the Jeonju 10. Partly because they’re not a happy bunch of old fellas, and…well, mainly because there are 10 of them. Of course, that is not what I’m writing about here. It is that time of the year again when the film festival journey kicks off for me for the year 2009. Actually, I lied; it sort of kicked off two weekends ago at the Women’s Film Festival in Seoul (the ‘in Seoul’ part is actually a part of the name, so what you get for the abbreviation is WFFIS). Anyways, to the point of this article, without much further ado. The 10th Jeonju International Film Festival will be kicking off this coming Thursday, and having scoured through the festival programme, I have chosen 10 of the most interesting-sounding films. No, not the sound of their names, but the synopsis. Never the best of ways with which to judge how good a film could potentially be, but hey, what are you gonna do? Chelsea's new signings were disappointing. First up is Machan, a film from Sri Lanka that tells of the story of Manoj and Stanley. They are both looking to leave the country, but their visa applications are continuously rejected. 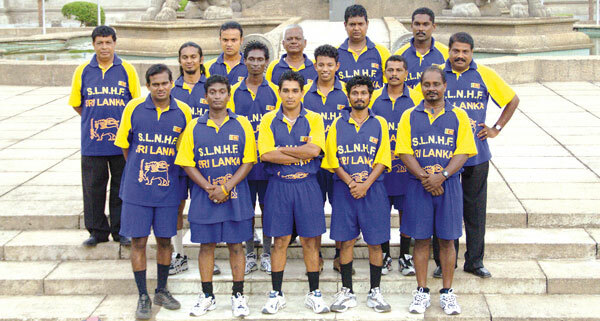 Upon finding out about a handball tournament in Bavaria, they gather together a mish-mash of people to form the Sri Lankan National Handball Team. It certainly does play like a comedy, which doesn’t seem to be in abundance at this year’s festival. Sounds like it’s well worth a watch, even if comparisons can be drawn with ‘Cool Runnings’ (about the Jamaican bobsleigh team). From Sri Lanka to France, I’d also like to check out Adhen. Officially classified as a French/Algerian film, the film tells of the story of Muslim workers who want to set up a place for prayers in their workplace. Their boss refuses, and so begin the battle. I am not sure if it is a work of fiction or documentary (once again, judging from the programme, they seemed to be mixed up together), but it is certainly something I can relate with on a personal level. The extra can't help but look at the camera. Straying not very far away from the Islamic theme is Laila’s Birthday. Actually, the link is rather tenuous, with only the religion of the protagonists appearing to be the same. 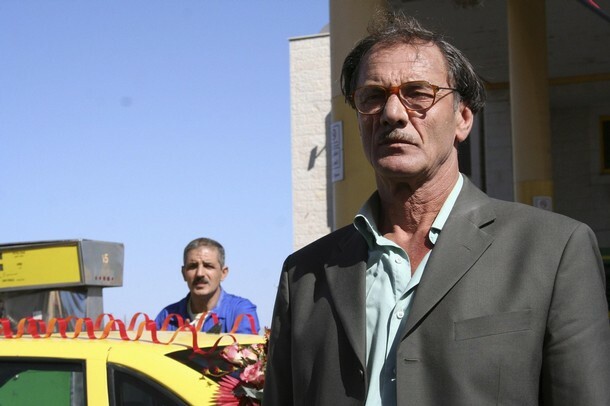 Abu Laila is a former judge, but he works as a taxi driver for reasons beyond her own control. The film, I think, tries to show how even the simplest everyday things can be difficult. One of the main points of the film shows him trying to bring home his daughter’s birthday cake and present in time and in one piece (hence the title). The following film, Melacholia, may be consumed in one piece, but you might need some adrenaline injections to keep yourself going, because it is eight. Hours. Long. Yes. I looked it up, and it does appear to be something that exists. It follows three characters in search of happiness. “Why is the world full of unbearable sadness? Does happiness only exist as a concept?” I don’t know if the world is full of it, but 480-minute films suggests that sadness is in full swing in the Philippines. The Northern Land, then, would come as a welcome relief. Supposing that this is done in a more conventional method (certainly clocks in at a more conventional duration), it is an adaptation of a novel by the same name as Agustina Bessa-Luis. Sisi decides to investigate her family’s history, finding more and more unexplained mysteries and incidents as she goes deeper underground (sorry, can’t help myself with the Jamiroquai reference). But just when you think that this film sounds very ‘normal’, the actress, Ana Moreira, tackles several different roles as well. It should be a treat. Post-Newcastle, Shearer decided to embark on a dancing career. Despite their efforts, they couldn't imitate the picture. …before landing back down with more than just a hard bump in Korea. The ESP Couple tells the story of a couple who can read each other’s mind. For those not in the know (me included), ESP stands for Extrasensory Perception). We follow Su-min, who can read the thoughts of other people, but finds himself in spots of bother when Hyun-jin, a genius of a girl, turns up in his life. Perhaps he couldn’t handle the sensory overload. Something that would certainly mess up my senses is a pig turning up at my school. That’s a part of the premise with School Days with A Pig, a film from Japan. A new school teacher asks his children to raise a pig in school as part of an experiment. The only catch? They must eat it when it is fully grown. Having spent a whole year with it, the inevitable dilemma eventually arises when the class must decide whether they really, really cannot live without eating the cute, little piggy. Perhaps they should have just locked it inside a coffin and leave it there for a while (note to animal rights activist: I am not for cruelty against animals, this is merely an intro line for the French film, On War). That is exactly what happened to Bertrand, a filmmaker who got shut inside a coffin accidentally. Which raises the question: do people lock themselves inside coffins intentionally? If they want to change their viewpoint of the world, and follow a man to The Kingdom, a place with a warrior-hierarchy society and a female ruler named Uma, then they probably should. A special mention should also be made for Block B, the only Malaysian film to be shown at the festival (what, no ‘Sell Out!’?!). Made by Chris Chong, a man whose name will soon explode to astronomical proportions when his feature debut, ‘Karaoke’, will make its bow in the upcoming festival in Cannes. Before that, you can check out this short, a work that looks at the daily life of the inhabitants of a block of flats in Brickfields. 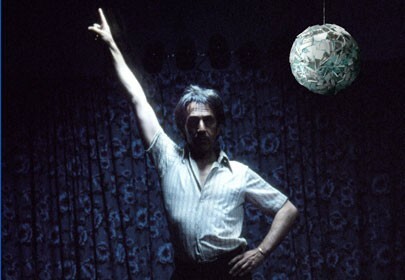 There are, of course, other films that could potentially float your boat as well. It’s just these ten films are the ones that caught my eye the most. Whether I’ll get to see all of them is probably another story. Whether I want to see all of them is also still up in the air, considering the circumstances. Fikri can have three different dreams within an eight-hour sleep. Well, he had them just now. For more information, you can check out the official site. You can also have a look at Fikri’s pictorial account of the festival the last time he was there in 2006. Jeonju doesn’t show films that were in Pusan. And vice-versa. Actually, that’s not true. There were more than a few cameos that turned up. I checked and double checked this. In fact, I’m going to see ‘Rain’ tomorrow, a film I had wanted to see in Pusan, but didn’t manage to.